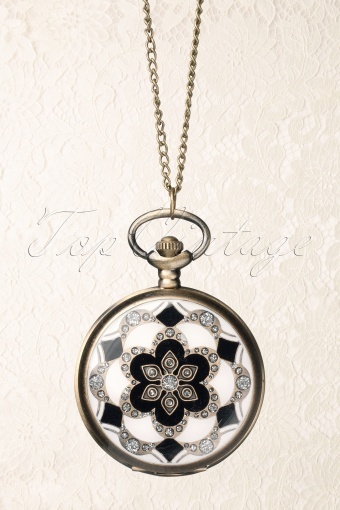 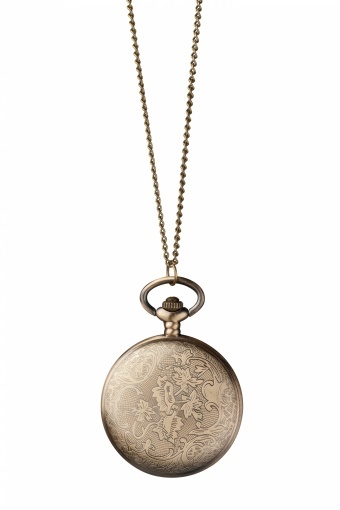 This Oriëntal Mosaic Flower black&white pocket watch necklace is a beautiful necklace with an oriental touch. 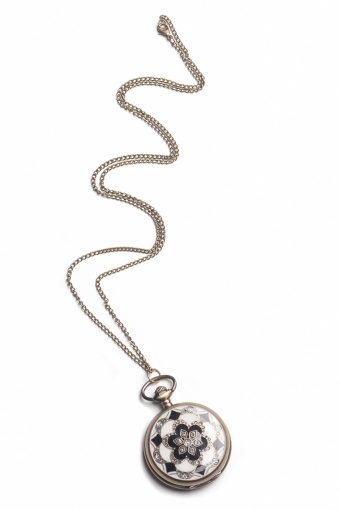 The long bronzetoned chain has a black/white enamel clock attached to it with glamorous silver glitter detailing. 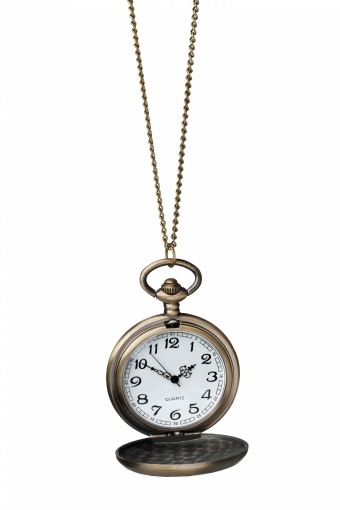 The white clockwork has a vintage black clockwise that finishes it off perfectly, must-have!